On this full-day tour, you’ll visit four of the region’s most highly rated attractions. 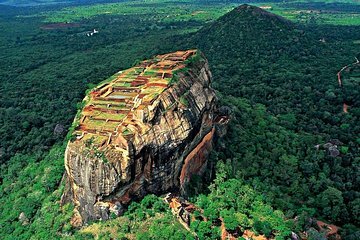 See centuries-old Buddhist cave temples in UNESCO-listed Dambulla, climb to the top of the lion-shaped rock fortress of Sigiriya, and brave a much more strenuous hike to the summit of Pidurangala, a massive rock formation. You’ll also visit an elephant orphanage for a close-up peek at the larger-than-life rescues.